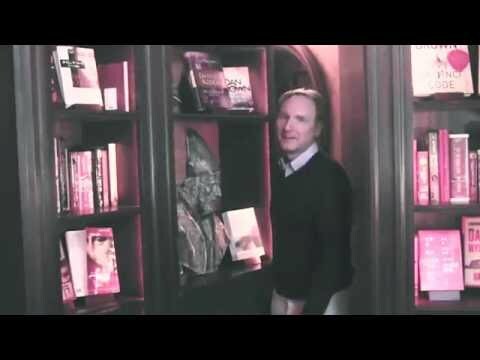 Novelist Dan Brown (The Da Vinci Code) has donated € 300,000 to the Bibliotheca Philosophica Hermetica to digitize and preserve part of its priceless collection, including Hermetica, alchemy, mysticism, Rosicrucians and Kabbala. Thanks to Brown’s donation, the public will be able to access the core collection of some 4,600 ancient books online in the near future. Brown is a great admirer of the library (widely known as The Ritman Library after its founder Joost R. Ritman) and visited on several occasions while writing his novels The Lost Symbol and Inferno. “I consider it a great honor”, the world-famous author said, “to play a role in this important preservation initiative that will make these texts available to the public.” The Dutch Prins Bernhard Cultuurfonds is also contributing to the digitization project, to the amount of € 15,000. The comprehensive digitization project will be carried out by Picturae, a company specializing in making Dutch cultural heritage digitally accessible. It is expected that the core collection of The Ritman Library will become available online in the spring of 2017. The Ritman Library is moving into the historic ‘House with the Heads’ on Amsterdam’s Keizersgracht. After major renovation the building will house the new ‘Embassy of the Free Mind’. This Embassy will offer room for exhibitions, tours, presentations, debates and conferences and will be a platform where innovative and free thinkers from the Netherlands and abroad can meet. The library, with its wealth of knowledge and its unique collection, will be the vibrant heart of the Embassy of the Free Mind. Viewers can follow the digitization process on YouTube, FB, Instagram, and the library’s website https://www.ritmanlibrary.com/digitization-project/. Please let me know how to access the digital files once they are available on any level to the public or to members. Thank you. Thank you Dan Brown and The Ritman Library. You are my new saints and heroes! Here in the southern USA, I fear that many would like to squelch the study of all things mystical. It is good to see the Light of Knowledge shining through!!! Hopefully when the files are online, Dan Brown will reveal the secret he has been attempting to reveal by encoding clues in his books. Or he could reveal the secret now and by the time the online editions are available the world would be more interested in confirming the secret. Dan we share the same impulse. My donation pales in the shadow of your largess but tell me: Where do I send my contribution to the campaign to preserve this wonderful collection?